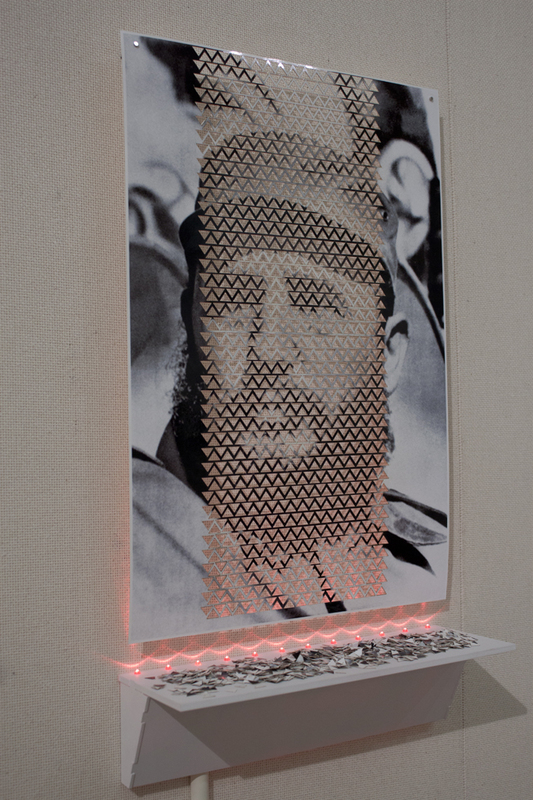 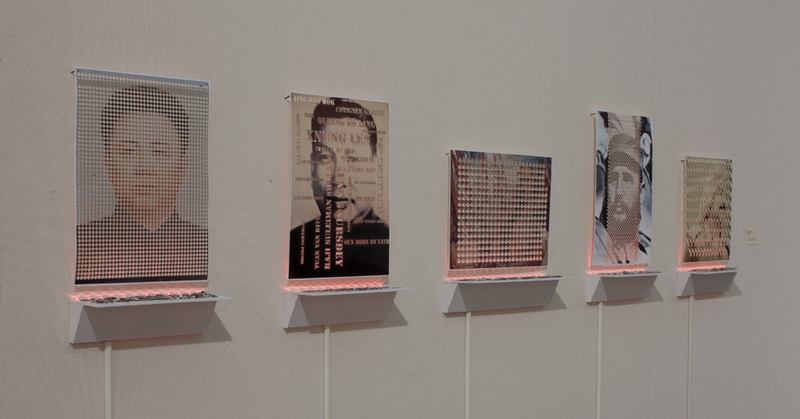 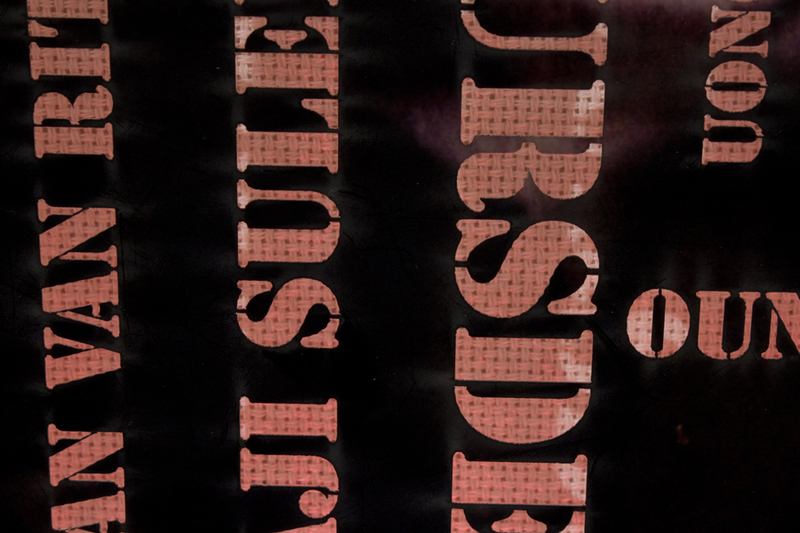 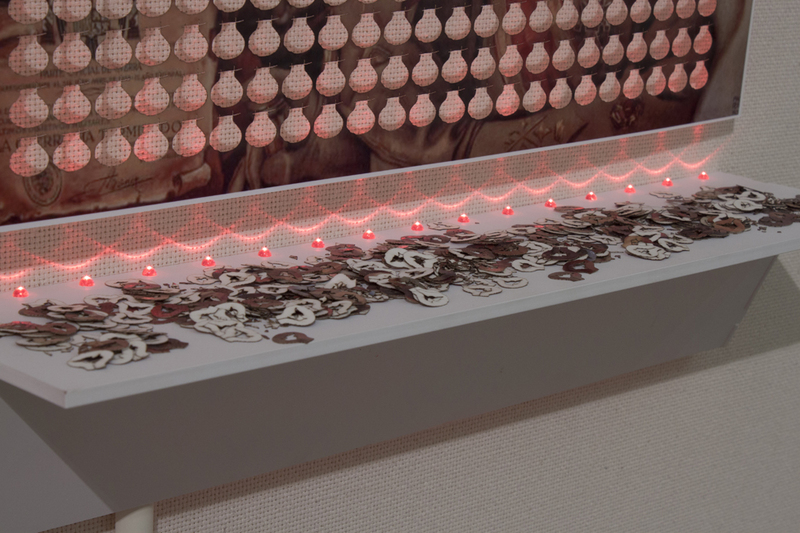 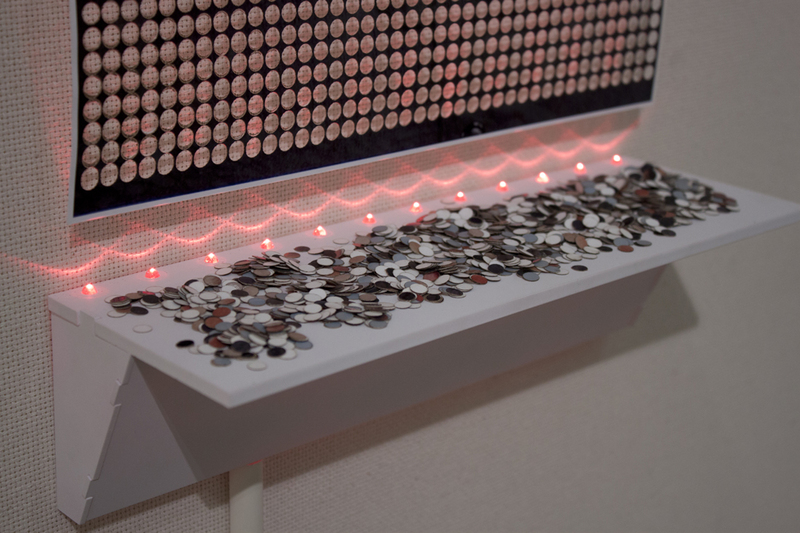 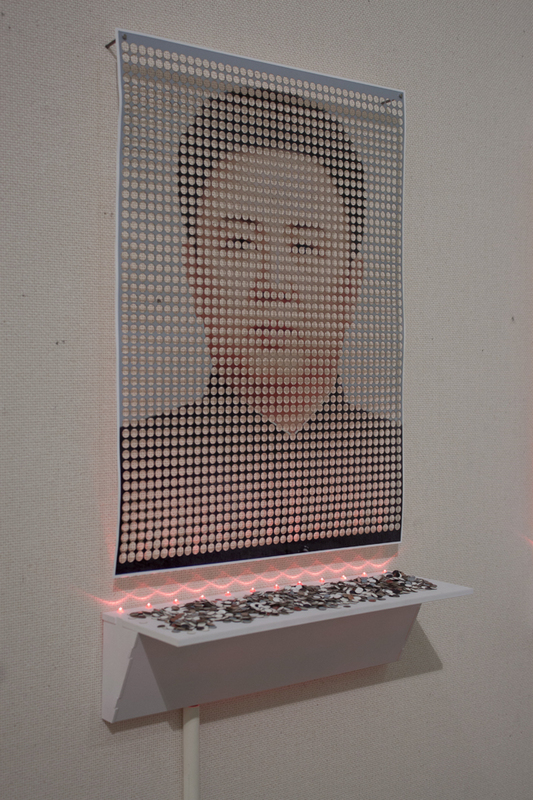 Images of dictators are laser cut with statistics of their victims. 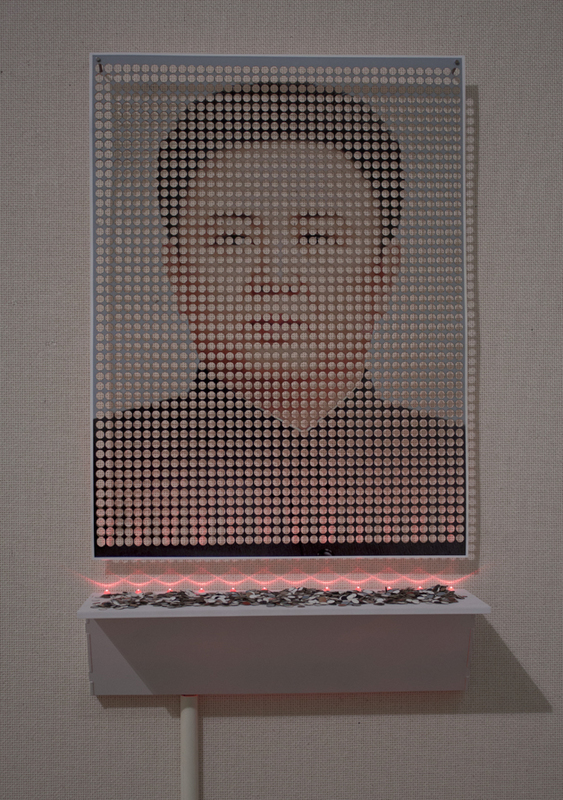 Kim Jong Il - 2000 circles or 1% of the victims he put in his Gulag. 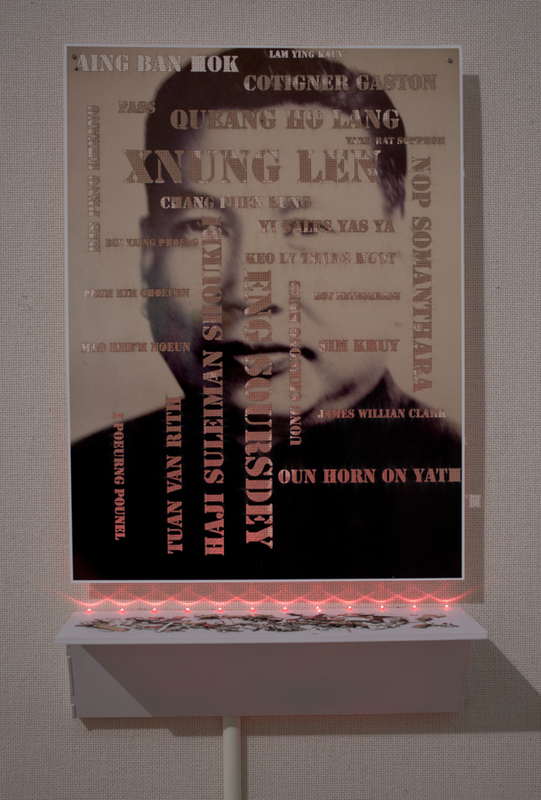 Pol Pot - A single name from every letter of the alphabet from this database. 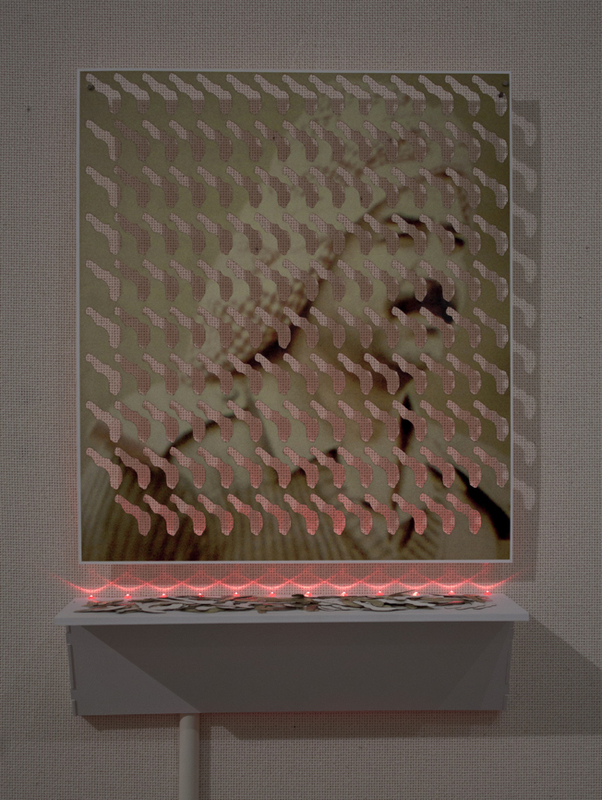 Saddam Hussein - The silhouette of the city of Dujail cut out 148 times once for every victim of the massacre there. 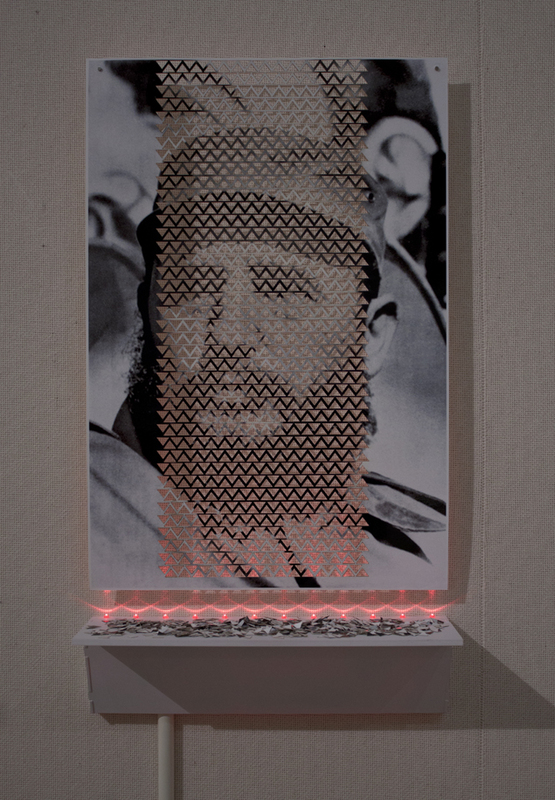 Fidel Castro - 1000 triangles or 1% of the people expelled while Castro questioned their sexuality. 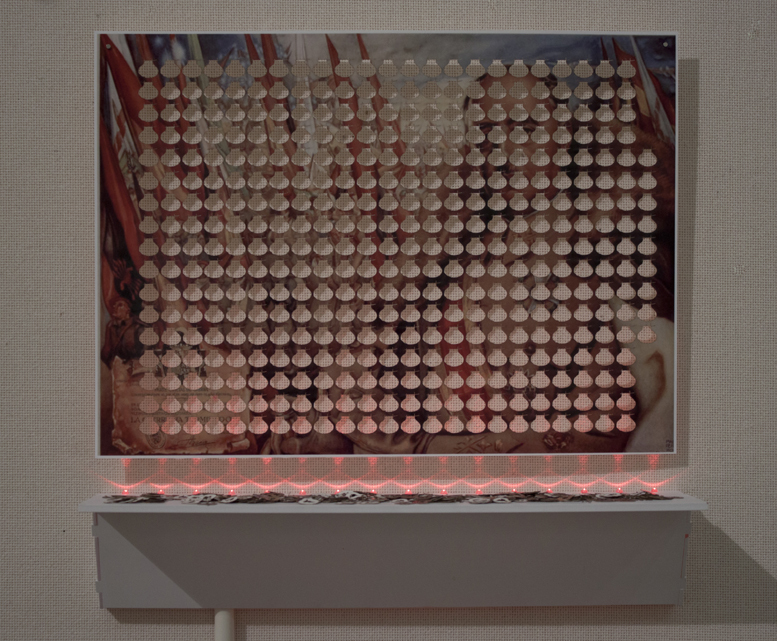 Francisco Franco - 400 of the lightbulbs from Picasso's Guernica, or contemporary historians best guess on the actual death toll.